How to get more people to sign up for your fabulous newsletter. 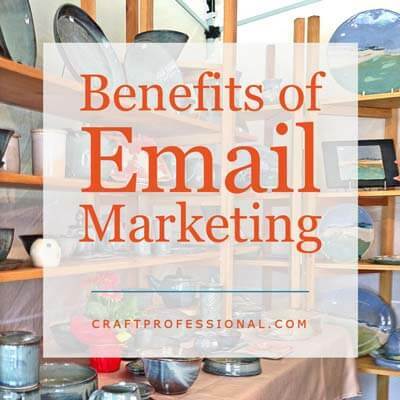 One thing new you may be surprised to learn when you start researching how to do email marketing, is that you have to market your marketing materials. I know! It never ends. Your newsletter may be free, and it may be fabulous, but you still have to "sell" it to get people to sign up. People don't give away email addresses easily, and signing up for a newsletter involves a time cost. 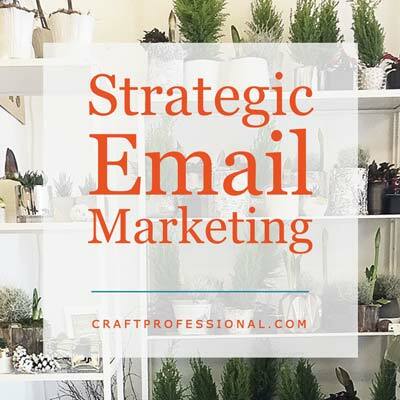 You need to convince your potential subscribers that your newsletter will be a welcome, valuable addition to their lives, and not just another email cluttering up their inbox. At craft shows and studio tours you can provide a guest book or newsletter signup sheet and invite people to sign up for your newsletter. If you use Square for both mobile payments and newsletter distribution, customers can sign up while paying. If you have a website, provide a signup form online. 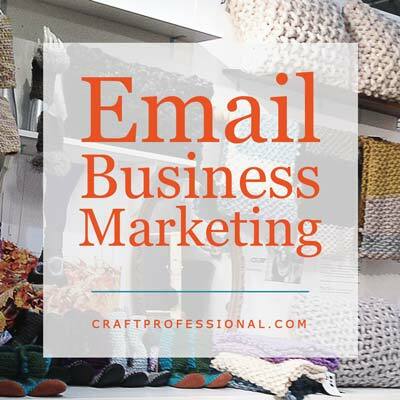 A professional email newsletter service will provide you with everything you need to create a form (no fancy technical skills required!). If you have active social media accounts for your business, invite your Facebook, Instagram, or Twitter followers to sign up for your newsletter. An occasional friendly post or tweet letting people know you're about to send out a new issue of your newsletter can help bring your social media followers over to your email list. If you have an active Pinterest account, consider creating an image that promotes your newsletter and pin it for your Pinterest followers to discover. Ensure anyone who buys from you knows about your email list. Include an insert in your product packaging that invites customers to sign up and includes the signup URL, or print that message directly on your packaging in a place customers are likely to see if that is feasible. If your sales are online and you communicate with customers via email, be sure to include your newsletter signup address plus a reason why customers should sign up in a conspicuous place on your emails to customers. 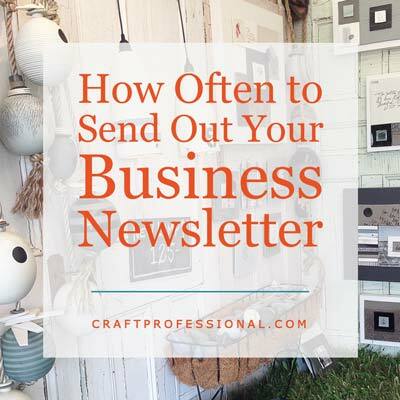 If you have an Etsy shop, you can include links to your newsletter on your about page, shop announcements, or message to buyers. Have a Website? 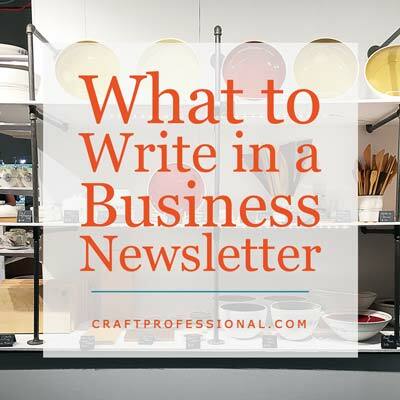 Write a Page Specifically Aimed at Selling Your Newsletter. If you have a website, you can dedicate an entire page to promoting your newsletter. Tell people the benefits they will get from being a subscriber. Do you offer exclusive coupon codes for subscribers, special sales, or tips on your niche? 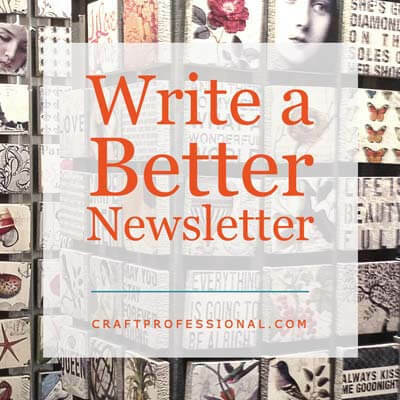 How will your newsletter make their lives better? Do you have testimonials from customers? Testimonials add social proof and can go a long way to encouraging more people to subscribe. Whenever a customer says or writes something great about your business, ask permission to include it on your site. If you have back issues of newsletters saved on your site, you can link to a few so people can see exactly what they will get when they subscribe. Make sure the link to your back issues opens in a new window so they don't lose the newsletter sign up page when they click to see the back issues. Make signing up for your newsletter the only option on the page. Getting that email address is your most wanted response on that page. Don't confuse people with links to other things. Be sure to include your newsletter sign up form throughout your website. People often need to see your newsletter offer several times before they will sign up. Make it extremely easy for visitors to your site to find your newsletter. Avoid buying lists of emails. Do not add people who did not request a subscription; it is illegal in some jurisdictions and can get you in hot water. SHOULD You USE A POP UP NEWSLETTER SIGN UP FORM ON Your WEBSITE? We've all seen those little forms that pop up when you visit a site. They want you to sign up for a newsletter or buy a new and exciting product. There are pros and cons to using a popover, so you'll need to think this one through. For years, I have gone back and forth on whether to use a popover form because I was worried people wouldn't like it, and the last thing I want to do is create a bad user experience on my site. I went without one for a long time, then I tried using one, and it did significantly increase my newsletter sign ups for a while. Eventually, I switched the popover to a HelloBar at the top of my page. The HelloBar improves signups just as well as the popup, and it is free (although I'm considering the paid option). Popover forms are fairly common on mainstream sites, so people are more used to them than they once were, and they can significantly increase your newsletter signup rate. On the down side, though, some of your visitors will be annoyed by the popover, so you're making a trade off to knowingly annoy some people in order to get more people to sign up for your newsletter. Google definitely discourages popovers (supplementary content) on mobile devices. If you're going to use a popover on your site, I'd suggest setting it up so it only shows when a reader views your site via desktop. Although I can't say for sure, there are rumblings that popovers on the desktop view of your site may hurt your rankings at Google as well. I don't have definitive information on whether popovers will hurt your site's search engine rankings, (if only I could look directly into Google's mind!) but it is a possibility to consider. Adding a popover is a bit of a trade off. You need to monitor how people react by watching your site's statistics - Do people spend less time on your site? Has anyone complained? Have your search engine rankings dropped? Does it have a negative impact on sales? Does it effectively increase signups? You can only answer these questions for your particular online store and your particular audience by testing it to see how your customers respond. 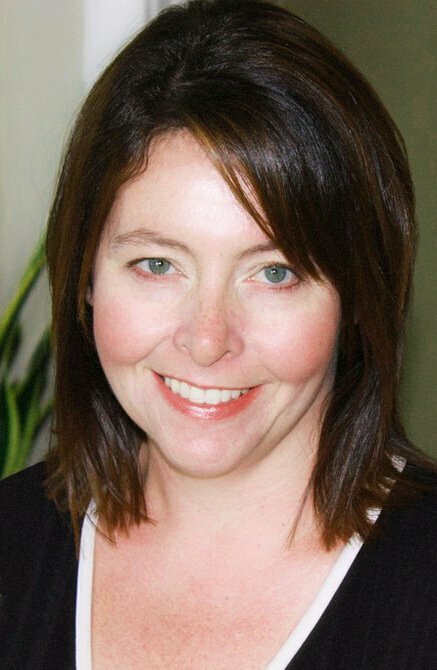 WHAT ABOUT OTHER STRATEGIES for Growing an Email List? 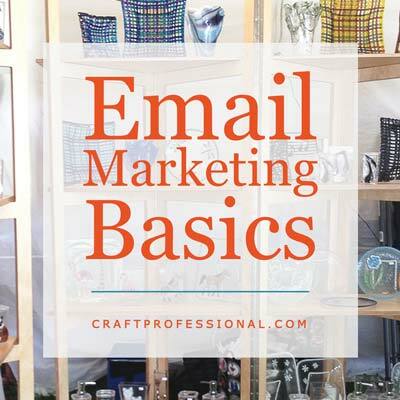 There are other ways to build your mailing list, but the ones I've listed above are all keep-it-real strategies that aren't too time consuming and can build the backbone of an engaged list of customers. The other strategy you might consider is the free offer. A lot of mailing list gurus will tell you to offer something free to entice people to sign up for your newsletter. That freebie could include a coupon or other discount on your products, or perhaps a special report that is of interest to your customers (this option applies easily to people who sell information as opposed to products, but with some creative thought, you might be able to make it work for your craft business). 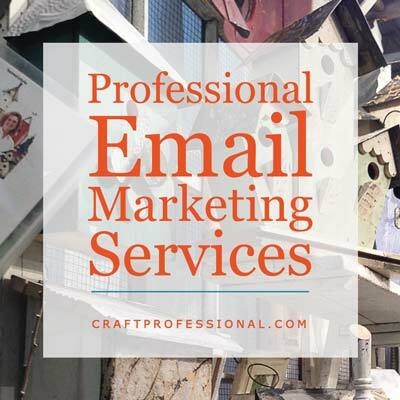 The one-time special offer for new mailing list subscribers is easy to set up, and it can increase your signup rate if you offer something that people really want. The downside is that you might end up with people who only sign up for your newsletter because they want your initial offer, but they really aren't interested in receiving your emails on a regular basis. I personally have never used a one-time offer to encourage newsletter signups on this site simply because plenty of readers sign up for my newsletter every week without the promise of a special freebie, and those who do sign up are engaged (they open my emails, click through to my site when they get an email, and send me messages). So I've decided not to try to fix what isn't broken! Some people, however, have excellent success by offering a special offer for new subscribers, and it is an important strategy that is worth considering. Be prepared for the fact that, for the most part, you'll be writing to yourself at first. If you've ever started a social media account for your business, you'll understand the feeling. You spend the first little while talking to yourself and a couple of followers. First, remember that quality is more important than quantity when talking about newsletter subscribers. I would much rather have a list of 3000 people who want to receive messages from me and who open and read my emails, than a list of 6000 people who aren't all that interested in seeing a message from me in their inbox. So keep it real. You only want people on your list who actually want to hear from you! 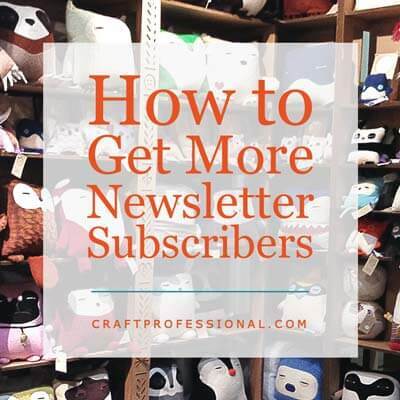 Plus, if you use a paid newsletter service, you pay more as your newsletter gets bigger, so a smaller, more invested list of subscribers is better for the financial health of your business than a larger, less invested group. 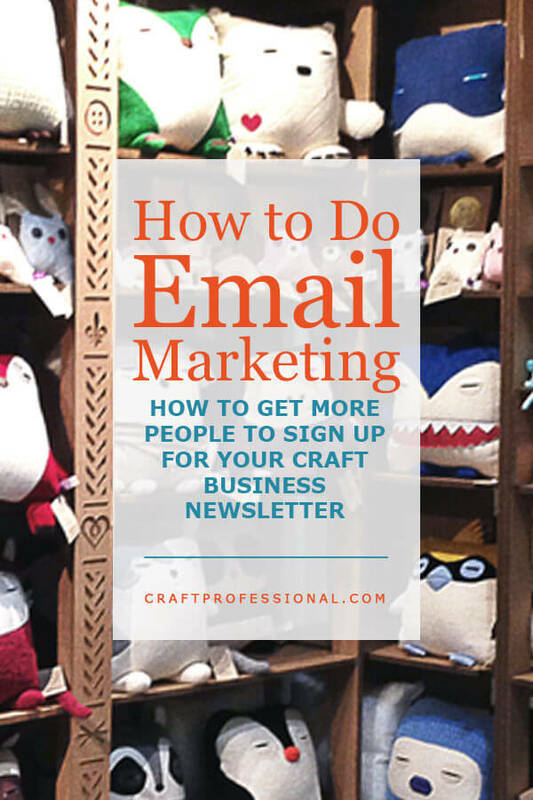 Once you get people to subscribe to your newsletter, you need to keep them interested. Read on for tips to boost the number of subscribers who open and read your newsletters.